Queer Eye star Tan France has said he can forgive Karl Lagerfeld for making “very mean comments” because the late fashion designer had such an impact. 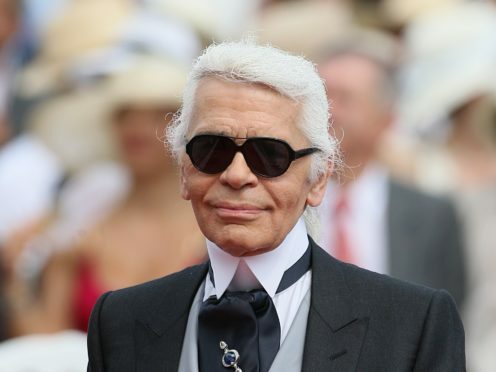 Chanel’s creative director Lagerfeld has been largely praised by celebrities and stars of the fashion world since his death at the age of 85 on Tuesday. Some, however, have criticised him, including The Good Place star Jameela Jamil, who called Lagerfeld a “fat-phobic misogynist”. France, the fashion expert on the Netflix makeover programme, said the designer could be forgiven his remarks, which included calling singer Adele “a little too fat” and for saying people who wear sweatpants have “lost control” of their lives. France told BBC Breakfast: “He was a man of a certain age and I think that he thought he could get away with some of his comments. Some of those comments were very mean, but as far as his work goes, he was incredible. “He was iconic and he was one of the most influential people in this industry. “I will forgive him some of his comments because he was so impactful in what he did, and sometimes I think that people of a certain age get a pass if they’re going to make a comment. Lagerfeld, a giant of the fashion world who was credited with revitalising Chanel when he took over as creative director in 1983, was hailed by a large number of celebrity fans and friends, with Stella McCartney, Donatella Versace, Kylie Minogue and Cara Delevingne among those paying tribute. Supermodel and actress Delevingne called Lagerfeld a “visionary” and a “genius”, while Minogue said he was “unique, masterful, funny and generous”. His death also prompted an outpouring of emotional messages from the likes of Hollywood star Diane Kruger, who was “heartbroken” after she travelled to France to introduce her daughter to Lagerfeld, and Claudia Schiffer, who said he “transformed me from a shy German girl into a supermodel”. Lagerfeld’s death came after he missed the Chanel haute couture show in Paris in January, a rare absence. The acclaimed German designer was also the creative director of LVMH-owned Italian fur and leather goods fashion house Fendi, as well as his eponymous fashion label, which he opened in 1984. Lagerfeld’s final collection for Fendi is due to go on show on Thursday during Milan Fashion Week. He also worked for Chloe and H&M, and was an acclaimed photographer, having gone behind the lens for a number of high fashion magazines and his own fashion campaigns. Regarded as one of the most important fashion visionaries of the 20th and 21st centuries, he was known for wearing sunglasses and a black suit with a white shirt, with his grey hair pulled back into a ponytail. Lagerfeld will be succeeded at Chanel by its fashion creation studio director Virginie Viard, who collaborated with him for more than 30 years.